Sparks will play Nina Rosario, a college student with a secret who returns to her old neighborhood in New York’s Washington Heights. She will perform for 12 weeks, from Aug. 19 through Nov. 14. Since winning the 2007 “American Idol” title when she was 17, Sparks has pursued a recording career, starting with a debut album that produced a series of Top 5 hits on Billboard’s pop singles chart. “In the Heights,” which won four 2008 Tonys including one for best musical, was conceived by Lin-Manuel Miranda, who wrote the music and lyrics, and has a book by Quiara Alegria Hudes. A touring production of the show is set to play the Pantages Theater in Hollywood in June and the Orange County Performing Arts Center in Costa Mesa in August. Originally frontloaded to the spring, Jordin Sparks‘ tour calendar recently underwent a major overhaul. More than a dozen concerts from her Battlefield Tour itinerary have been rescheduled for summer or cancelled outright, and several others are still awaiting a final decision. The tour will not officially launch until June 1, though some spring performances remain on the books. At the moment, the summer trek’s first confirmed event is a rescheduled June 3 show at Starland Ballroom in Sayreville, NJ. An April 23 show at Newport Music Hall in Columbus, OH, which would have launched the tour, is now cancelled. According to that venue promoter’s official Web site, refunds will be available from the original point of purchase through May 1. Also axed from the calendar is a May 6 performance at Main Street Armory in Rochester, NY. According to Sparks’ official Web site, the changes are the result of “an effort to bring [the tour] to more cities throughout the country.” More tour dates are expected in the near future, with the summer 2010 routing eventually hitting about 35 national markets. This past weekend Jordin Sparks was spotted hanging out with her cousins at the Busch Gardens theme park in Florida. 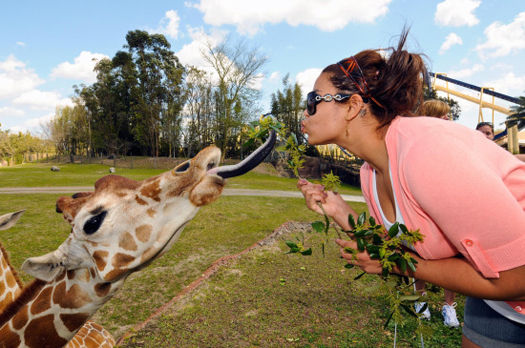 Jordin was seen feeding the giraffes at the park – as pictured above. The American Idol star also have news break today that she and her boyfriend decided to call it quits after being together since early last year. ‘No Air’ singer, Jordin Sparks will be heading on her own headlining tour this summer promoting her latest album. Tickets go on sale march 28th at 10 am. 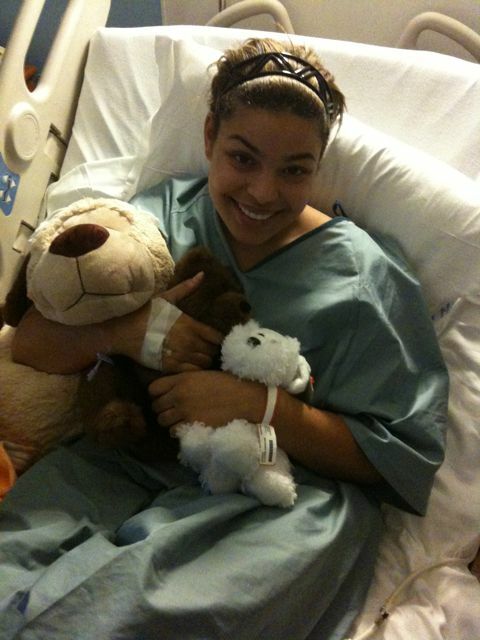 Jordin Sparks is recovering in Los Angeles hospital after emergency surgery to have her appendix removed. The 19-year-old singer had been scheduled to perform Down Under Australian Idol champ Guy Sebastian this Sunday, but has scrapped the show after being admitted to the hospital with acute appendicitis Wednesday night. “Smiling, resting & takin it easy! Thank you so much for your thoughts & prayers. It means so much & it’s so powerful,” she later added. Jordin Sparks Joining Britney Spears’ Circus Tour! Jordin Online posted some great news about Jordin Sparks joining the legendary Britney Spears on the last leg of her Circus Tour. First Jonas Brothers and now Miss Spears, all in the same season, Jordin is working her way up! Britney Spears may be the ringmaster, but that doesn’t mean there isn’t room for another vocal powerhouse under the big top. Brit’s official blog announced today that Jordin Sparks is joining the second leg of the Circus tour, signing on just in time to hit all of the U.S. hot spots including New York, Los Angeles and two nights in Las Vegas. Sparks released her hit sophomore album, Battlefield, in late July and just wrapped up the North American leg of the Jonas Brothers world tour.